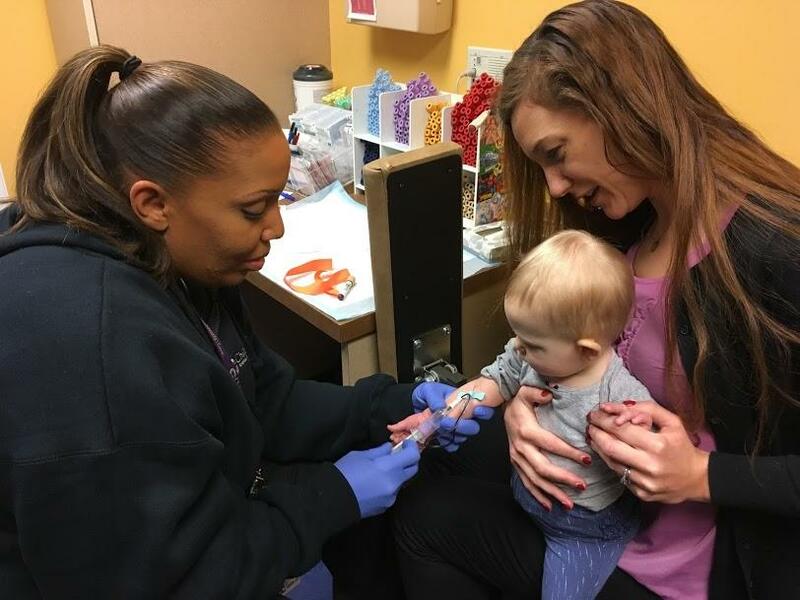 UPMC phlebotomist Candice Graham takes a blood sample from 10-month old Eleanor Comeau while her mother Amanda Comeau holds her, on Friday, January 27, 2017. Hacker said the department is considering mandating such testing for all kids between ages 9 and 12 months. Hacker said 80 percent of homes in Allegheny County were built before 1978 when the federal government banned the use of lead in paint. They're homes like Brandon and Erin Blache-Cohen’s 1924 craftsman in Squirrel Hill South. They said they knew that their house likely had lead paint, but thought they were safe, having put a fresh coat of paint on every surface when they renovated the home in 2009. So when they found out last summer that their youngest daughter had lead poisoning, they were stunned. The doorway in Erin and Brandon Blache-Cohen's home where their daughter's jumper used to hang. Erin said the internet wasn’t very helpful. The couple found all kinds of conflicting information about what they should do and what the impact might be on their daughter. A second test confirmed that the baby’s blood lead level was 9 micrograms per liter, or μg/L. According to the Centers for Disease Control and Prevention, anything above 5 μg/L is cause for concern. Above 20 μg/L requires immediate medical attention and could necessitate chelation therapy, which uses a binding agent to remove lead from the bloodstream. 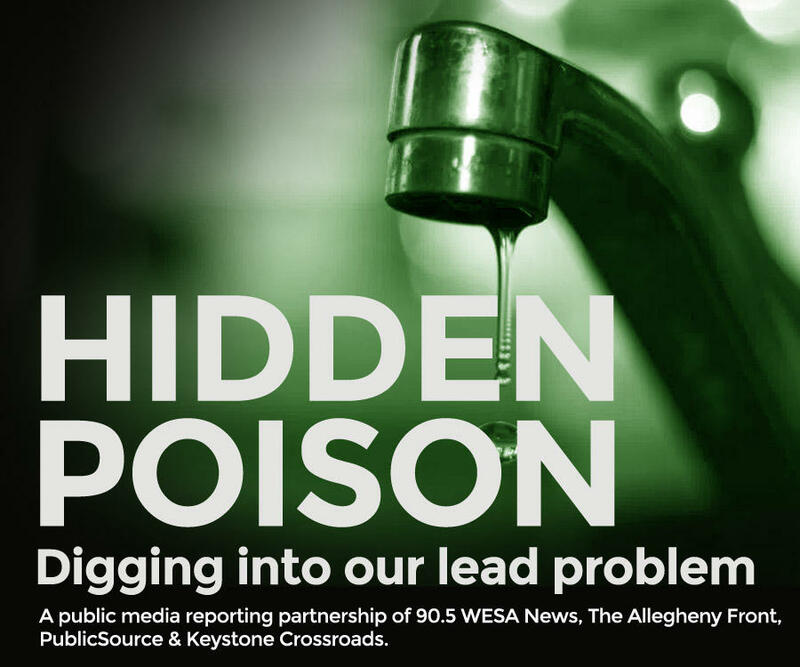 Above 10 μg/L, the Allegheny County Health Department will actually send an inspector out to the home to try to figure out where the lead might be coming from. 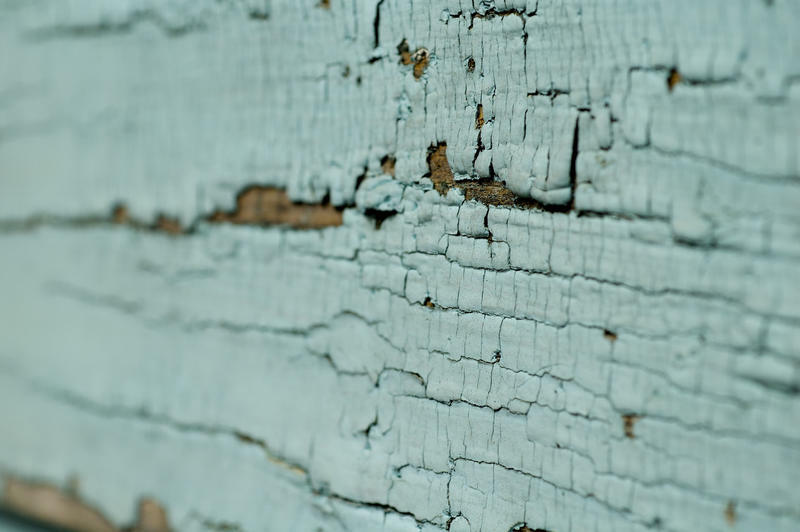 Hacker said parents will often want to completely get rid of all the lead paint in the house, but that scraping away old lead paint can do more harm than good. They hired a private inspector who explained to them that anywhere there is friction in the home, there is the possibility of disturbing old layers of lead paint lurking below the surface. “Something like a cabinet opening and closing, drawers opening closing, even if they had been repainted. That that posed a significant concern,” Erin Blache-Cohen said. Friction triggered an idea. Both their daughters had loved playing in a bouncy chair hung from the doorway between their dining and family rooms. “That was one of the places that they told us, just rubbing against it, even in places that you otherwise couldn't detect that paint had chipped … could have created some kind of dust,” she said. Erin said they took down the bouncy chair and painted over the trim it had hung on. They also painted all the doors, doorways and window frames in their homes. Brandon said, at a certain point, kids just stop putting things in their mouths, chewing on baseboards and crawling around on the floor where lead dust is likely to settle. Once the risk factors in the home are dealt with, a child’s lead level should naturally decrease over time. The Blache-Cohens had their youngest daughter’s blood lead level tested again this month, and found that it had dropped to 3 μg/L. Erin said they won’t need to do any more blood tests, but her daughter’s pediatrician will continue to monitor the girl's development closely with her exposure history in mind. Having weathered the storm, the pair has some advice for parents just finding out their child has high lead levels. The Blache-Cohens said they’re lucky, because they had the resources to make the needed changes in their home, and they know that not every family does. Last year, Allegheny County received $3.4 million in federal funding to do lead remediation in the homes of low-income families with small children without proof of elevated levels. Amanda Comeau, 32, said she knows they’ve got lead paint in their Stanton Heights home. “With the house being built in 1949, I’m certain that there’s lead paint somewhere in the house. It’s just an issue of keeping her out of it,” she said, pointing to a window jamb in the kitchen where layers of paint are peeling off. Though no level of lead is completely safe, Hacker echoed the Blache-Cohens. Once parents address the issue, she said, children should recover just fine. Lead Poisoning Has No Symptoms, So How Does It Affect The Body? 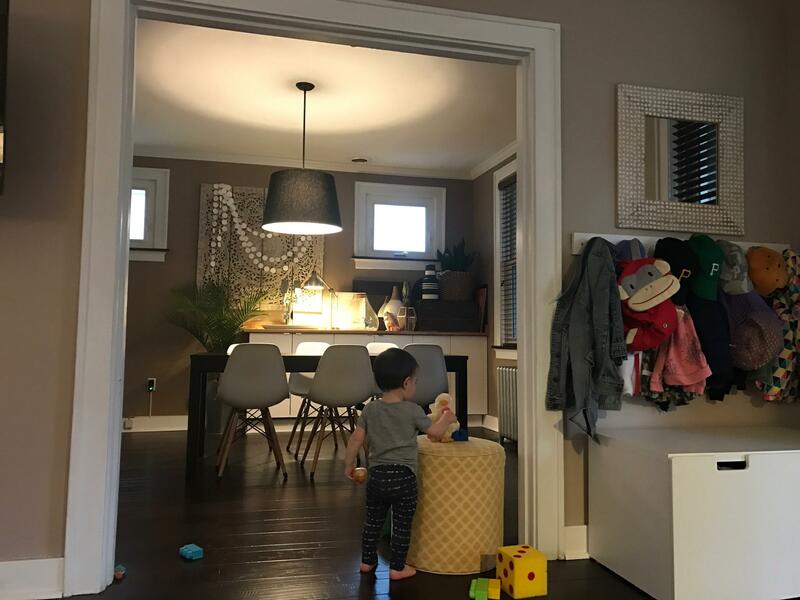 Jenny Stalnaker, her husband, and their 3-year-old son Townes spend a good two hours cleaning their house every night before bed.